Genetics is the study of the process of heredity and its characteristics. Word searches are the process of finding hidden words in an array of letters. 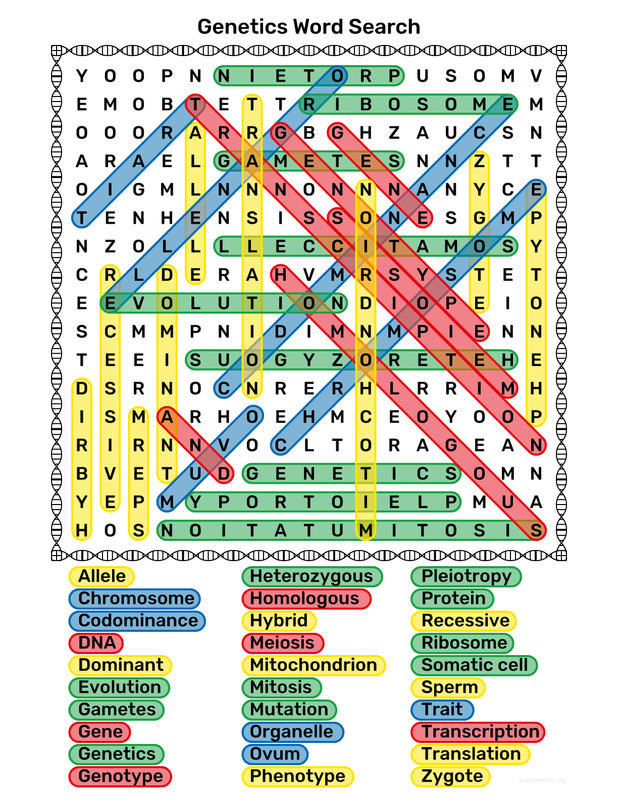 This is a fusion of these two disciplines in the form of a Genetics Word Search. The genetics glossary terms can be found vertically, horizontally, and diagonally both forward and backward. The puzzle is designed to fit on a single 8 1/2″ x 11″ sheet of paper, but scales nicely to A4 paper. For best printing results, use the PDF from the link below. If you have trouble finding a word or two, ask your relatives for help. 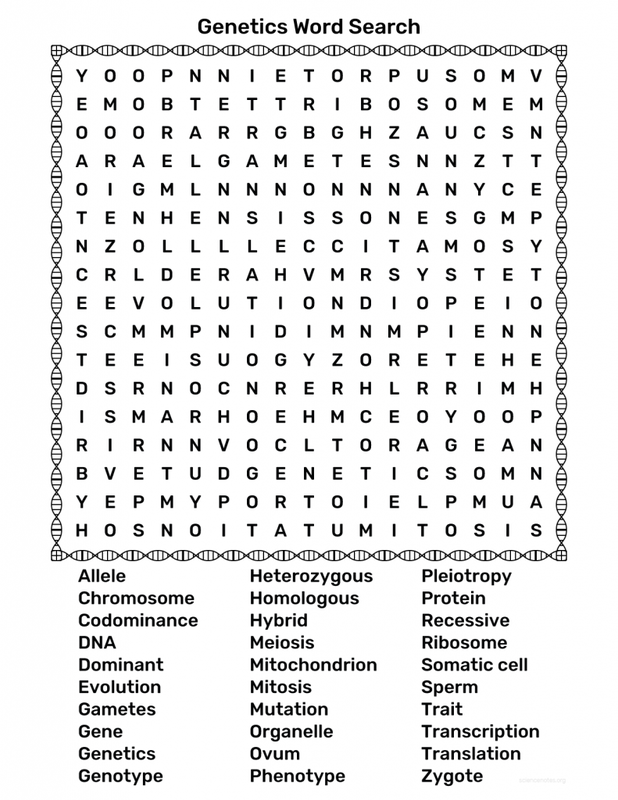 If that is a problem, check out these completed Genetics Word Search. For more word search fun, check out our other science-related word search puzzles.